Dan Howard & Co are delighted to offer for this beautiful and extended 3 bedroomed property, located at Dun Eoin Meadows in Carrigaline. This is a spacious and well cared for 3 bedroomed property with a large extension to the rear, adding a second large living room. 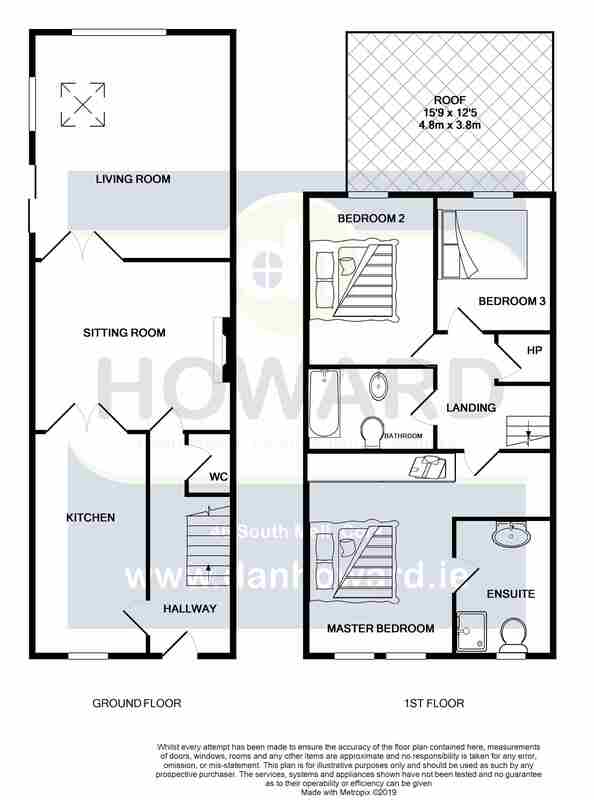 It is situated in a popular residential area, being close to all amenities that Carrigaline and Cork City can offer. There is a side entrance giving easy axxess to the rear of the property, which is fully paved and includes a Steel shed with a concrete base. DIRECTIONS: Coming from Cork City, pass Herons Wood and at the next roundabout take the 3rd exit which will bring you onto the Ballinrea Road. Drive up this road and Dun Eoin is the last Estate on the left. Drive in here and take the 3rd left, then right and right again, then take a left and No 11 Dun Eoin Meadows is straight on with a Dan Howard & Co. Ltd For Sale sign in the garden.